Results of a phase 3 trial of efficacy that used progression-free survival as its primary endpoint. 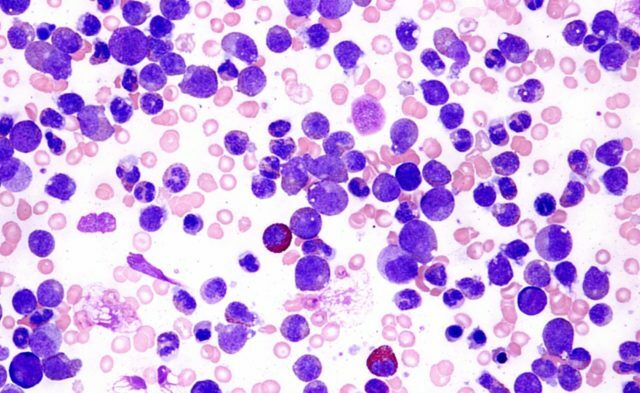 In patients with previously untreated chronic lymphocytic leukemia, ibrutinib with or without rituximab provided superior progression-free survival (PFS) compared with bendamustine plus rituximab, according to data published in The New England Journal of Medicine. In this phase 3 trial of efficacy (ClinicalTrials.gov Identifier: NCT01886872), with progression-free survival as its primary endpoint, patients aged 65 years or older received ibrutinib (182 patients), ibrutinib with rituximab (IR; 182 patients), or bendamustine with rituximab (BR; 183 patients). Overall survival did not differ among treatment arms after a median follow-up of 38 months, but PFS showed differences between treatments. Median PFS was not reached in either ibrutinib arm but was reached with BR. The 2-year PFS for ibrutinib alone was 87% (hazard ratio [HR], 0.39 [95% CI, 0.26-0.58]; P <.001) and for IR was 88% (HR, 0.38 [95% CI, 0.25-0.59]; P <.001), compared with BR, which showed a 2-year PFS of 74%. PFS was not significantly different between IR and ibrutinib alone (HR, 1.00 [95% CI, 0.62-1.62]; P =.49). Grade 3 or higher nonhematologic adverse events were more common in both ibrutinib arms (74% for each vs 63% for BR), but grade 3 or higher hematologic adverse events were more common with BR (61%) than with ibrutinib alone (41%) or IR (39%). In this study of older patients with previously untreated chronic lymphocytic leukemia, the combination of rituximab with ibrutinib provided no PFS advantage over ibrutinib alone, but ibrutinib did yield higher PFS compared with BR. Another phase 3 trial (ClinicalTrials.gov Identifier: NCT02048813) is currently under way to evaluate whether ibrutinib plus rituximab offers an advantage over chemoimmunotherapy in younger adults.